With its integrated automatic protection circuit Voltage stabilizer, this unit is great for countries with unstable voltage supply. Heavy-duty metal casing and durable design make it easy to travel with and carry.Important: Remember to leave at least a 100% slack for the voltage converter transformer. Televisions, Heating appliances, Laser printers, Halogen & fluorescent bulbs and power tools spike when you turn them on. 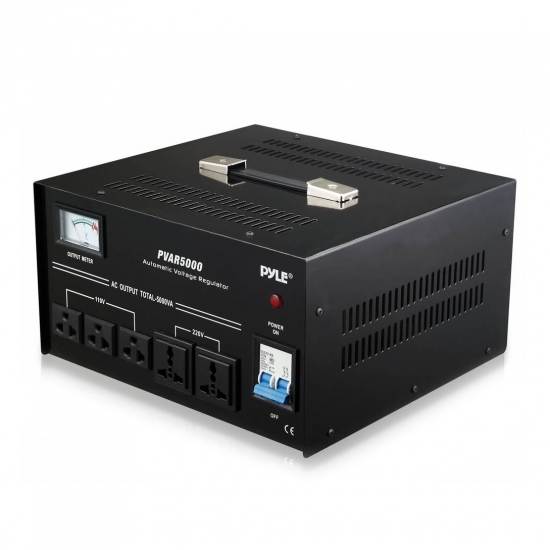 For these products you need to buy a voltage converter transformer that is at least 3-4 times the items capacity. Hi I want to know the frequency for this equipment, handle the 50/60? yes they can handle both.